In which room do modern floor lamps look best? With the exception of the kitchen and bathroom, a modern floor lamp can be appropriate for any room or space, providing the styles you select suit their primary function. If, for instance, you want floor lamps to sometimes provide focused illumination for reading in a home library or study, or beside a lounge chair or couch in the living room you’ll be smart to select contemporary floor lamps with adjustable features, like articulated arms or swiveling heads, which allow for a change in the direction of light source. DelightFULL’s designers have decided to pay a tribute to this iconic jazz musician and create Duke floor lamp. With a short silhouette and a single swing, Duke floor lamp is a retro-styled accessory for every single mid-century modern interior design. 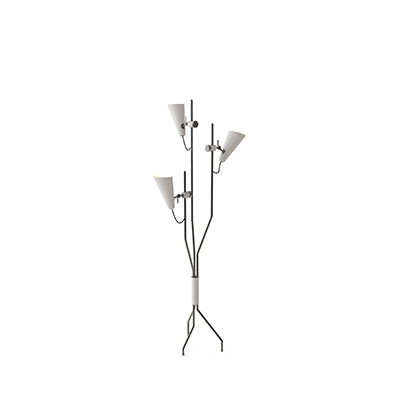 With a mid-century modern vibe, this Evans floor lamp has three diffusers. Each shade is moveable and adjusts making this a very functional light source that can be changed depending on where it is placed. This tripod floor lamp features an avant-garde design that will provide a light-filled optimism to your mid-century modern interior design. Turner floor lamp was inspired by Tina Turner’s electrifying dance moves. Ideal for any hotel design project, this art deco floor lamp will fit perfectly in a modern lobby entrance or next to a mid-century lounge chair. 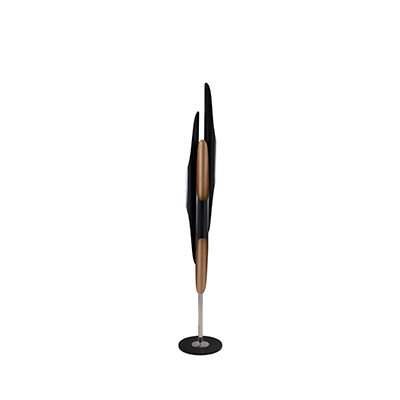 This mid-century floor lamp has five large arcs made of brass and a semi-spherical top cover of aluminum lacquered in glossy white or any other RAL color of your choosing. Inspired by a classic 1950’s vintage style microphone on top of a stage, this standing lamp will steal everyone’s attention to it. Ideal for an industrial loft and for a mid-century interior, Lee is the perfect corner lamp for every demanding setting, making an excellent addition to DelightFULL’s Heritage collection. This vintage floor lamp piece is handmade in brass and its lampshades in aluminum have a glossy black exterior and a matte white interior finishing. See Also: Why Pantone is The Way To Go.